You have been working for FPT Software? Let share your opinion about the culture and working environment at FPT Software. 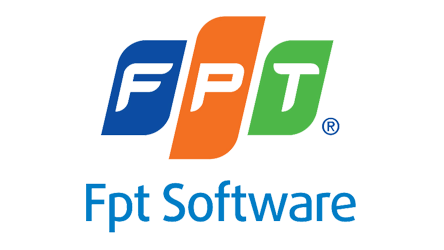 Established since 1999 as a company under FPT Corporation, FPT Software has become the biggest software outsource service in South East Asia with branches in 11 countries. Placing a rank in the TOP 100 Global Outsourcing, Top 100 Leaders in South East Asia and being honored as the Best place to work in IT (Among Vietnamese Companies according to survery of Anphabe and Nilsen Vietnam 2014), FPT Software is a Global Software Company built with ambition by 13 goal-driven Vietnamese individuals . FPT Software has become the biggest software outsource service in South East Asia with branches in 11 countries. Being a leading Software Outsourcing Service Provider, we provide high quality services including Software Development and Maintenance, ERP Implementation, Quality Assurance Testing, Migration, Embedded Systems, etc. to cater diversified domains such as Banking & Finance, Telecoms, Manufacturing, Insurance, Government and Public, Retail, Infrastructure, IT services and Utilities. FPT Software is the #1 IT Service Provider in Southeast Asia and the biggest Global provider of Software Services in Vietnam. Our goal is to become one of the top global software outsourcing service providers in the world by developing multi-national staffs with English and Japanese language proficiency and experts on IT service Research & Development. SMAC is the key of FPT Software's globalization strategy, becoming a major player in the Global ICT. Apart from the traditional technology we provide to different markets across the globe, FSOFT aims to include new technologies and services including Social, Mobile, Analytics and Cloud (SMAC) domains. Although there are many interesting challenges, I love living and working in many countries. It's interesting to do things that haven't been done before. FPT Software has trained me to be a professional BrSE. With this job, I have the chance to contact with many difficult Japanese customers and by that, understand a lot about their world class working style and procedure. Over the years in FPT Software, I have had chances to work with multi-national companies located in different parts of the world. The task of dispatching personnel to various foreign offices, managing their performance while maintaining close communications with both clients and people is not only a challenge but simultaneously also an opportunity to learn from overcoming them. We believe that coping with challenges and learning from experiences are essential factors for continuous development. We aim to have the best of everything! Experience the world with FPT Software! A culture is form from its people. All FSOFTers, from the leaders to every developer, have created a culture that is distinctly FSOFT. Surely you will feel the heart of FSOFT in your own way. FPT Software goal is to ensure our employees’ physical and mental health. Whoever you are, you can find a place in FPT Software. Let's conquer all obstacles with the help of our colleagues. Being a leading Software Outsourcing Service Provider, we provide high quality services to cater diversified domains.